Ever wondered how to make coupons for your business? 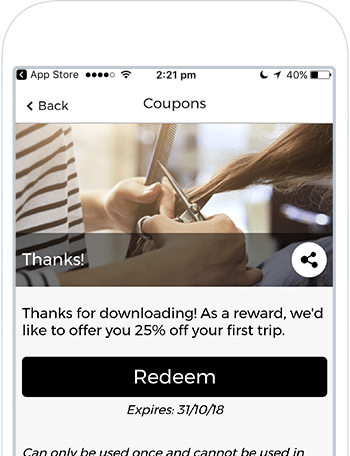 Using AppInstitute, it’s easy to create digital coupons that let your customers redeem offers and deals without having to carry around physical coupons. Whether you’re a salon, restaurant or retailer – there’s a template for you. Select the one that best fits your business. Enter your website or Facebook page URL into our app builder wizard to automatically pull your colour scheme. 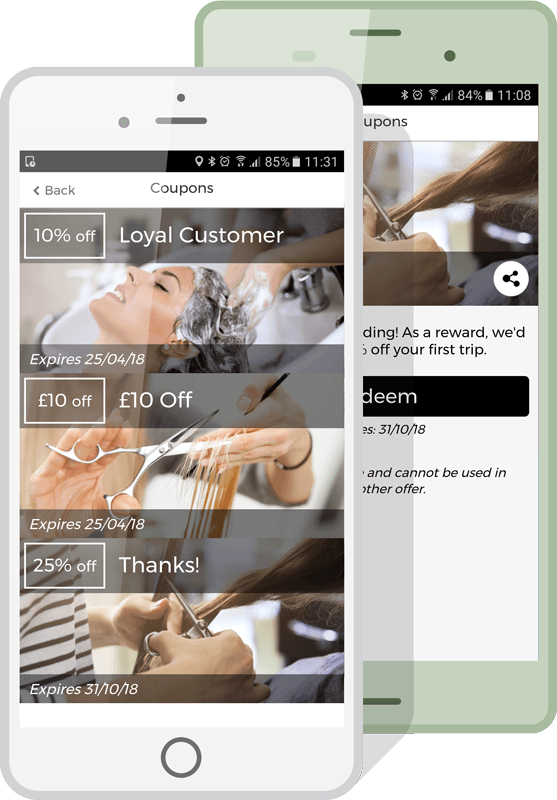 It’s easy to make your own mobile coupon within your app. Select the coupon tab, drag it into your app and fill out the info. 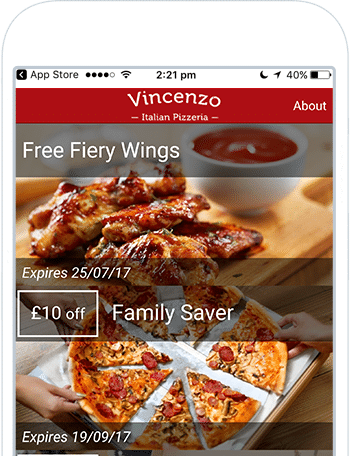 Once you’ve finished your app and added your coupons, you’ll be able to quickly and easily publish it to iOS and Android’s stores. Create new offers, schedule future deals and set expiry dates for your coupons – and do it as often as you’d like, creating as many coupons as you need. With app exclusive special offers and deals, you can provide a huge incentive for your customers to download your app – meaning you’ll be able to reach them via their smartphones 24/7 with push notifications. 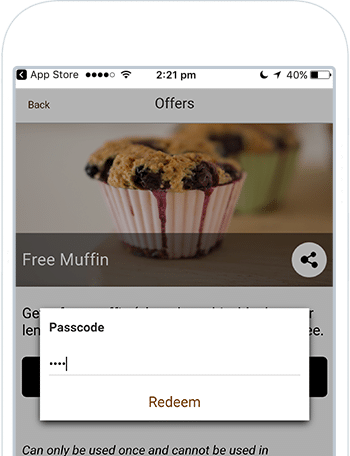 Eliminate the risk of forgery with a safe, simple and secure passcode method that means only those who have been given the individual coupon codes can redeem them in store. Create your app without having to write a single line of code. Use our simple, intuitive drag-and-drop app builder to make an app in minutes. Target 99% of the smartphone market with your own app for both iOS and Android – and build them both simultaneously. Once your app is live on the iOS and Android stores, choose from our wide variety of marketing tools to put your app into the customer’s hands.